Inspired by years living in New York, the cupcake city of the world, Sparkle Cupcakery opened in 2008. After making cupcakes for 10 years we know you love our cupcakes and life should be celebrated! “Eat cupcakes because it’s somebody's birthday somewhere” - perhaps our favourite saying, but also as the brand progresses with the changing times we are so excited to have released our Vegan collection, so you can still celebrate life with that little bit of #guiltfree indulgence. Life is about the moments we make...so make them special with Sparkle. 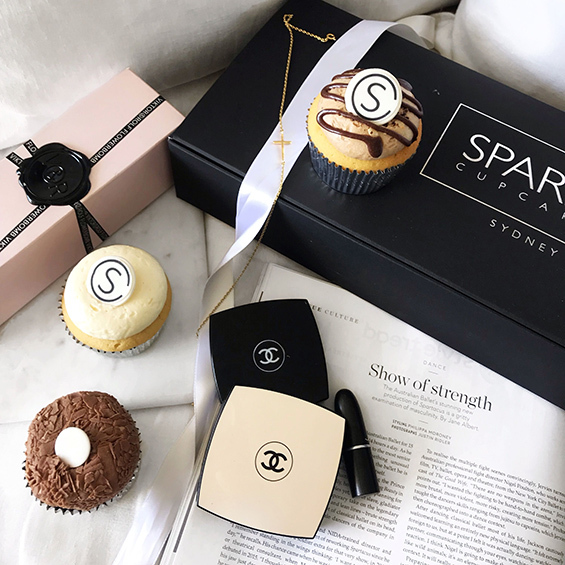 A balanced diet is a cupcake in each hand - create your own sparkle moment with our bespoke classic or vegan cupcake collections. Each cake is made from scratch and baked fresh. We source the highest quality ingredients including cage free eggs, creamy butter, the world’s best Heilala Vanilla and Belgian chocolate, as well as no artificial additives or preservatives. I think I died and went to sweet sugary heaven! The banana toffee cupcake just might be the best thing I have ever tasted. I ordered Sparkle cupcakes as a business thank you.The delivery was prompt. The card to go with the gift was hand written which makes a difference for corporate. The presentation was brilliant. By far one of the best cupcakes I’ve ever had. I’m not crazy about icing but this one is just the right amount of sweetness. Love the moisture and the spices taste of the Vegan flavour. seasonal cupcakes made from scratch, baked fresh, hand piped and made with love daily. affordable custom cupcakes for every moment. using the highest quality ingredients including the world’s best Heilala Vanilla and Belgian chocolate. free same day delivery for orders placed before 11am within a 20km radius from Sydney CBD Monday to Friday. because life is about the moments we make with the cupcakes we bake.